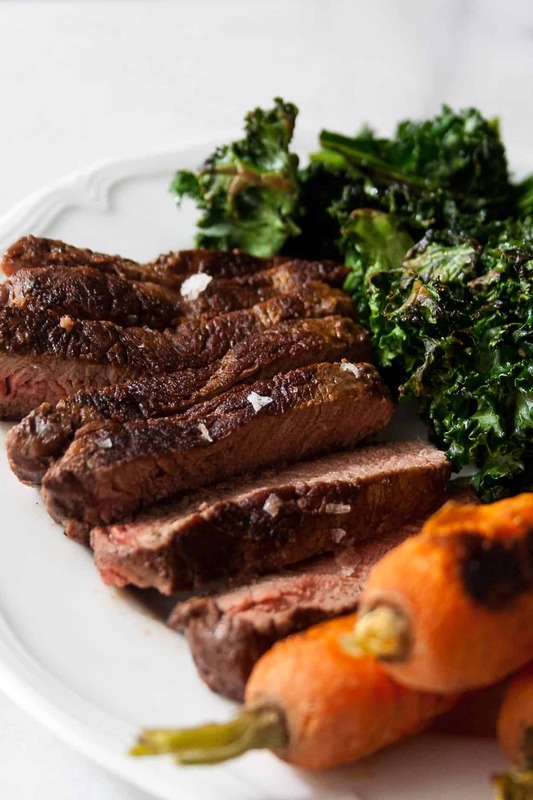 A Guide to Grass Fed Beef: What does grass fed mean? Why is it important? And where you can find the best quality. 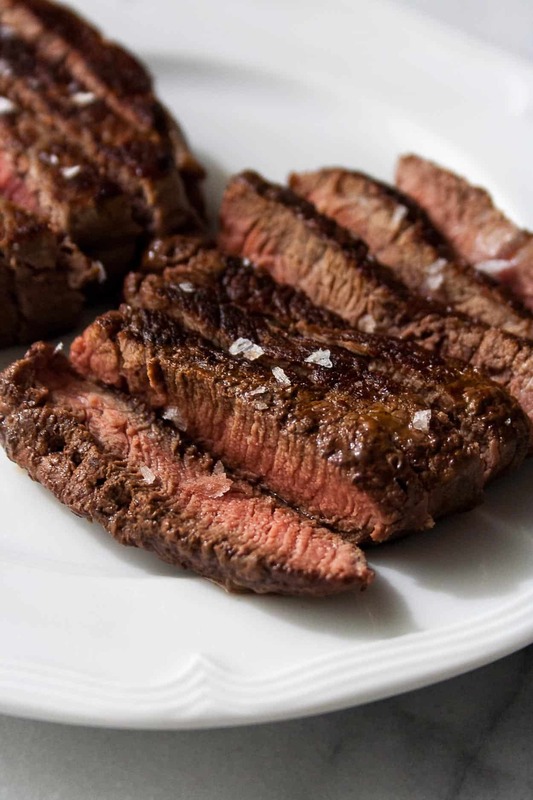 Oh and how to cook the perfect steak every single time! This post is sponsored by Pre Brands. As always, all opinions are my own. Thank you for supporting Hungry by Nature and the brands that make it possible! One of the most daunting things to cook is a steak. Or at least for me it was – it was until I learned how to cook the perfect steak every. single. time. A nice char on the outside and pink in the middle. 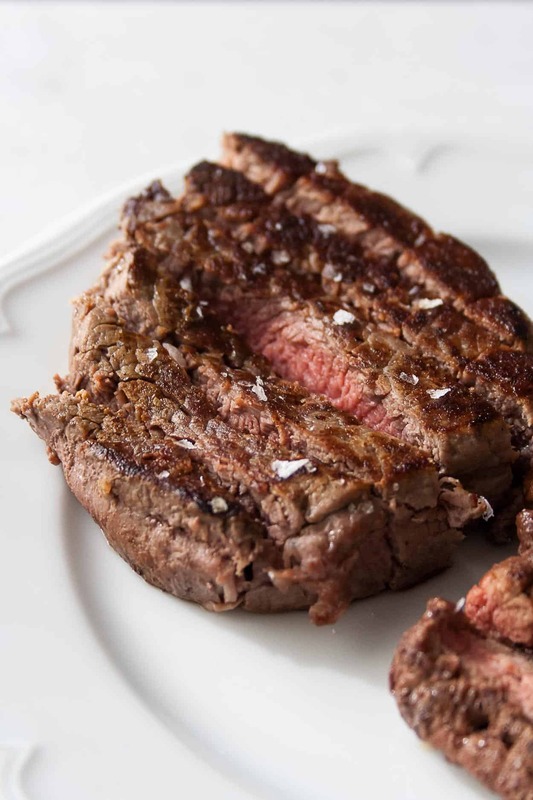 A good steak is pricey – no matter the quality or the cut, steak is much more expensive than ground beef. I’ve only ever had steak at a restaurant! I think the illusion of the fancy Chicago steakhouse always created this false sense of cooking difficulty. But now that I’ve got the cooking down (check out the recipe below and see how easy it is! 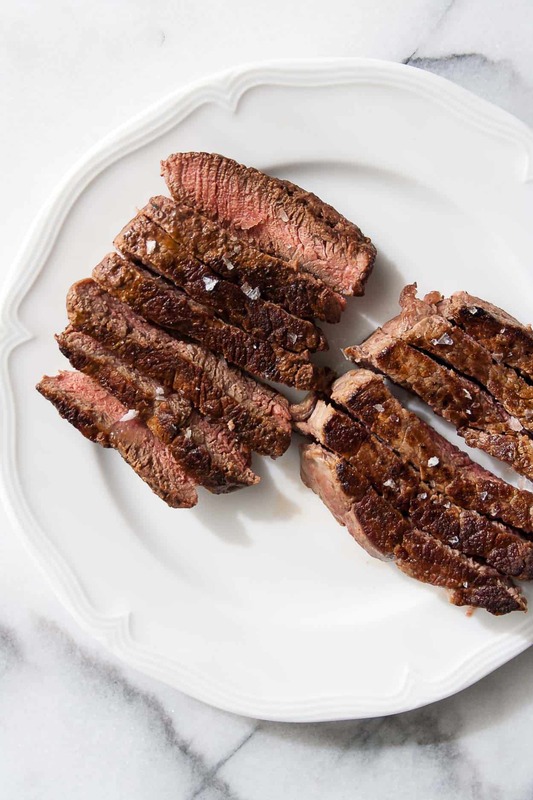 ), what is more daunting to me is everything we hear about beef… grass fed, grain fed, pasture raised… what does it all mean and what should I be looking for when I go to buy a steak?? As Bruno Mars says, ‘watch me break it down like‘. What is ‘100% grass fed beef’? 100% grass fed beef is beef that is raised solely on grass after weaning – no corn, grain, or anything else. 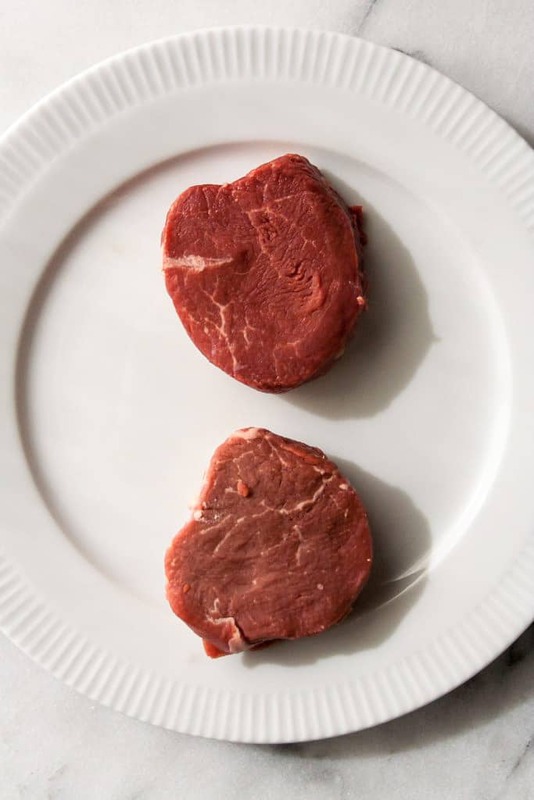 Let’s take a look at two grass fed beef filets from different sources. The first, shown on the left, is a grass fed filet I purchased at Whole Foods and was told that the beef is from a farm in the midwest (the butcher said it was either from Minnesota or one of the Dakotas). The second, shown on the right, is a grass fed filet from Pre Brands. Pre sources their cattle from Australia and New Zealand – on nutrient rich soil, free of antibiotics, hormones, and GMOs. 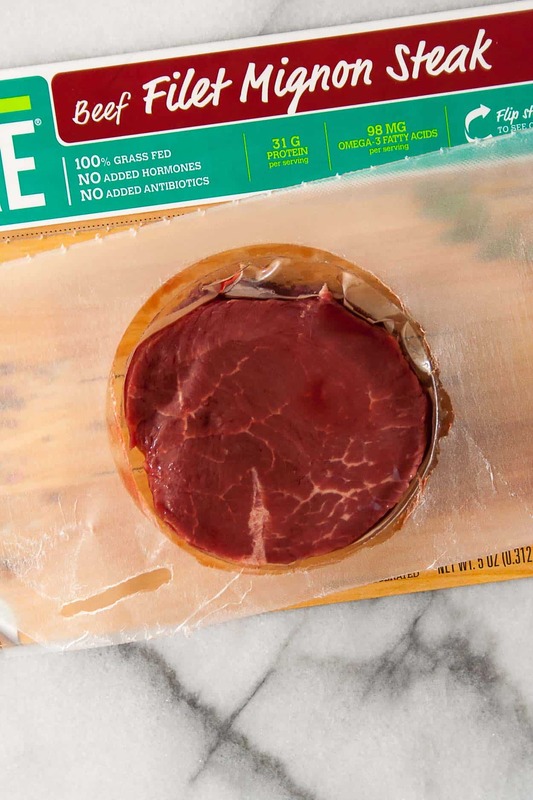 As you can see, the filet purchased from Whole Foods is wrapped in butcher paper; while the Pre Brands filet is in a transparent, vacuum-sealed package. Opening each package, the first thing I notice about these two filets is the difference in color. The color of the first filet is lighter and just slightly brown. This is due to the oxidation process. 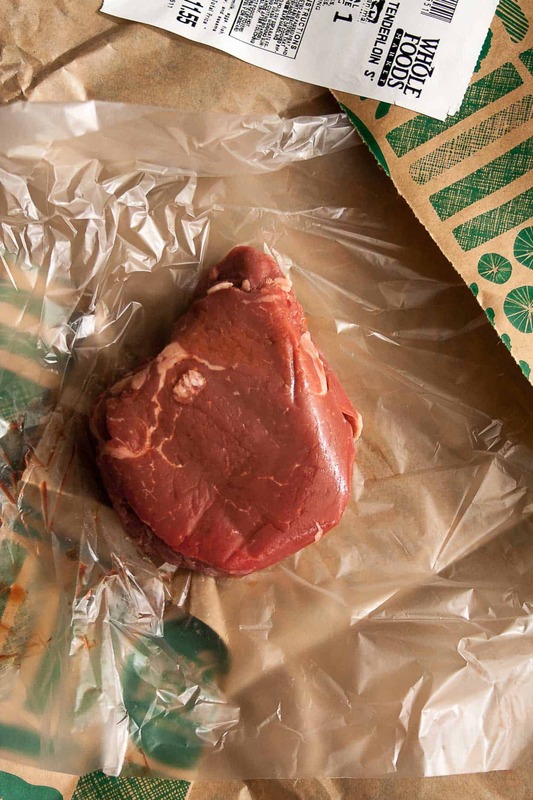 When meat is exposed to air for an extended period of time (think about it sitting at the butcher counter), the chemical makeup of the meat will begin to change, turning it brown. The filet on the right was vacuum-sealed as soon as it was butchered. This stopped the oxidation process before it even started – leaving the deep red color. Turns out, I was wrong. And I don’t think I’m the only one who was thinking this way. Isn’t it amazing when you can see the color difference side-by-side?! In addition to the color difference, there is also a significant difference in taste. Now I know there is no such thing as ‘taste-o-vision’, so you will have to trust me when I tell you that there is a major difference in flavor. And this difference is due to the way the cattle was raised. Yes, they are both grass fed filets; but not all grass fed beef is equal. Unless cattle farmers have never used chemicals on their land before, the grass that the they are feeding their cattle is compromised. Unfortunately here in the US, much of our grass fed beef is affected by this. There are countries throughout the world – including Australia and New Zealand – where GMOs are largely illegal and the grasses that are fed to cattle are pure. Luckily for us, Pre Brands provides us access to beef raised on that land! Now I know what you’re thinking. This higher standard of beef comes at a higher cost, right? Yes, it does. 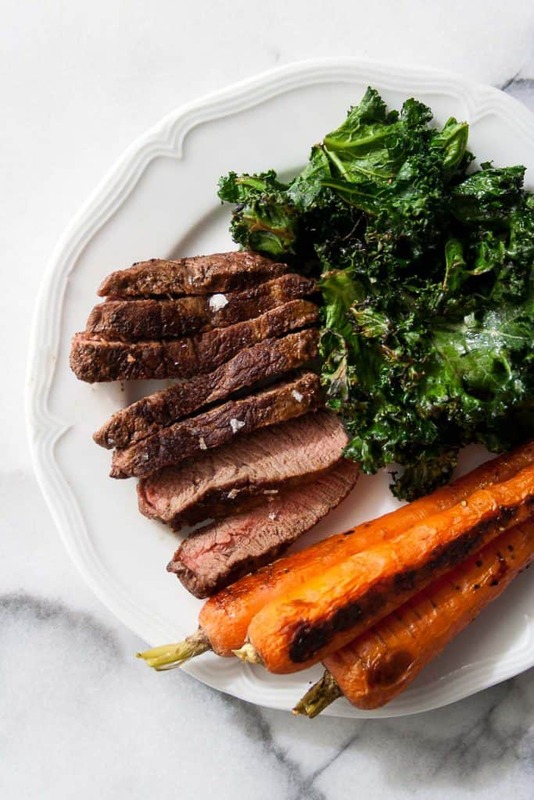 The cost of two 5 ounce filets from Whole Foods is approximately $18.75, compared to $23.48 on average in-store (in the Chicago area at Mariano’s, Heinen’s, Meijer, Treasure Island, Foxtrot, Grand Food Center, Valli Produce and select Jewel-Osco locations) and $29.99 directly from eatpre.com. Is it worth the extra cost? 100%. Here’s the deal. You are what your food eats. If you eat chicken breasts that are enormous and pumped with growth hormones, YOU are eating growth hormones. If you eat produce that has been treated with chemicals, YOU are ingesting those chemicals. And if you eat grass fed beef that is raised on land that was previously treated with chemicals, you are eating those too. That knowledge is all that I need to justify spending a little extra on the highest quality beef and food in general. Now there are budget barriers. I cannot always afford the highest quality; but I do the best I can – that’s all any of us can do. But being knowledgeable about how food is raised has been empowering me to make informed choices about the food I am putting into my body. If you want to choose Pre and buy the best quality beef you can for yourself and your family, DO IT. 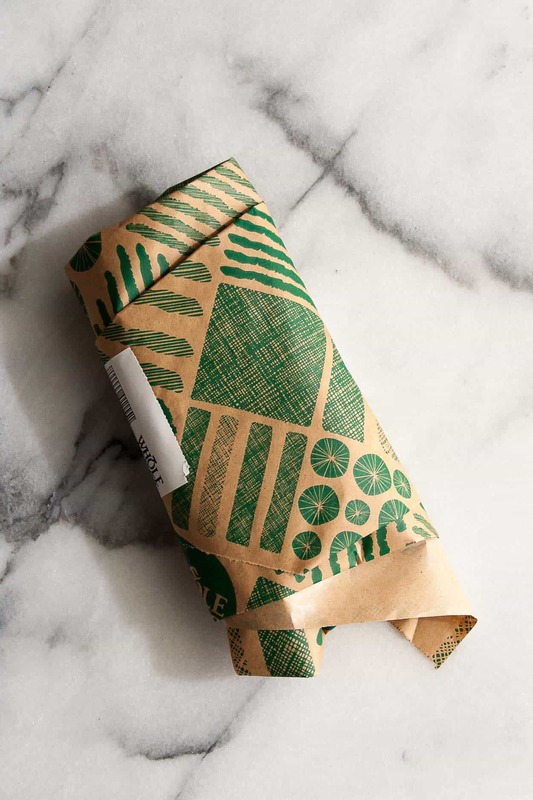 You can find their products online, through websites like Peapod and Amazon Fresh, and at local grocery stores as well (check Pre’s store locator for your closest option)! If you live in Chicago like me, Pre Brand beef is sold at Mariano’s, Treasure Island, Heinen’s, Meijer, Foxtrot, Grand Food Center, Valli Produce and now at select Jewel-Osco locations in the northern suburbs. 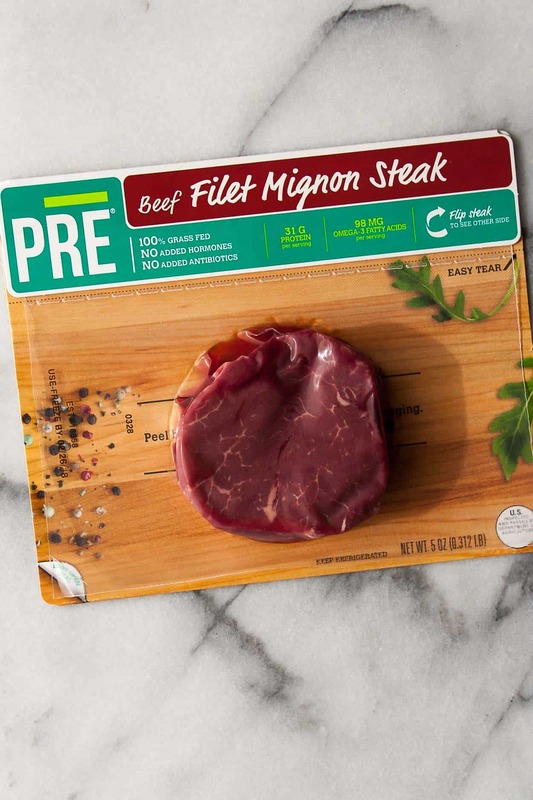 And actually, Jewel-Osco is new for Pre, and to celebrate, Pre’s team of Beef Geeks will be sampling in select stores and raffling off a month of free meat (amazing!) this weekend only! Check the full demo schedule on Pre’s Facebook events page. Now, LET’S EAT SOME STEAK! Pat filet dry and season with salt. Heat a skillet (I always use my cast iron – make sure it is well seasoned) over high heat – the pan should be hot! Add filet and cook for 5 minutes without touching it. This will allow for the steak to get a really nice char. Flip and cook for another 5 minutes. Remove from heat and allow the steak to rest for 5-10 minutes before slicing. Join the Hungry by Nature tribe! Get the latest recipes, exclusive content, and much more!